Camas was founded by three young technicians with previous experience in the arena of assembly machines. 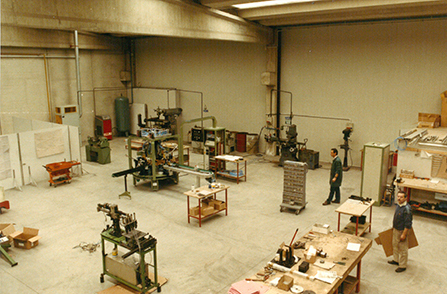 Of the first ten machines we sold, a good three of them were supplied to Italian clients who, 30 years later, and despite generational turnover, still turn to CAMAS for effective answers to their assembly and inspection problems. 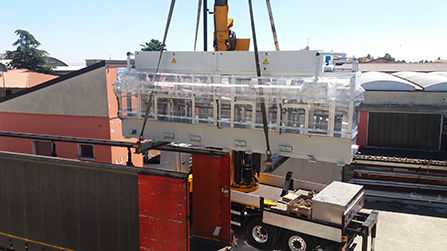 Camas expanded its horizons and sold its first machine to a non-Italian client. That company is still a Camas customer. 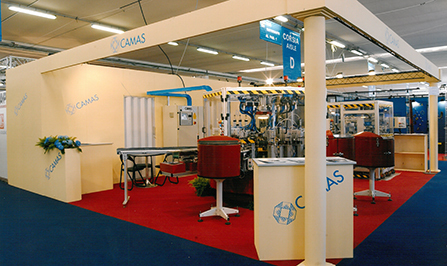 The systems featured the first tight testing units manufactured using Camas technology. 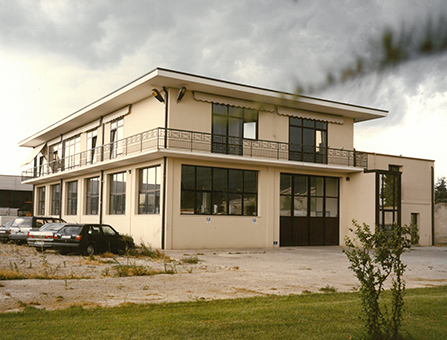 Leaving behind its Brescia location, the company moved to Rovato where it purchased a property that has served as its operations location ever since and has grown over time. The founder’s strategic vision of anticipating future successes and need for expansion made it all possible. This was the year we sold our first machine outside Europe, thanks in part to the sales network we were building, a network that brought the name of our young company from Brescia to the world. These were years of enormous growth, during which the company never lost sight of developments in technology. The first application of vision systems for inspection and measurement and the first robotic loading system that CAMAS installed on its machines both date to this year. What is now common practice was cutting-edge at that time. In the tenth year after its founding, early statistics show that nearly 400 machines were sold. The 500th machine was commissioned in 2000. After having already manufactured systems with cam-driven mechanical units, Camas began applying its expertise to making mechanical machines intended for large series production. The company that had become a private limited liability company in 1990 now became a public limited liability company. Meanwhile, the capital structure had evolved and the ownership structure was expanded to include new people who had already been working in key company management positions. In its 20th years in business, it surpassed 800 machines, distributed across every continent, although Europe remained its leading market. Orders that year reached nearly €10 million. 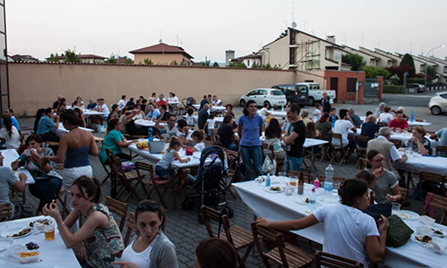 The crisis that would envelop Italy and other countries in the years that followed proved a drag on growth, but never proved problematic thanks to our product diversification and our deep-rooted presence in many countries abroad. 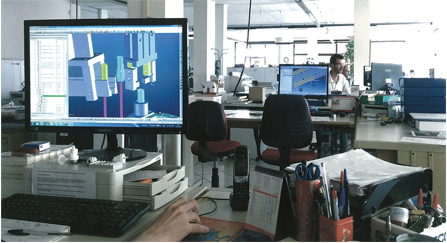 Keeping in step with technological development, we shifted design to 3D CAD systems. We developed a mechanical construction and processing division, making our production even more independent. Camas management’s response to the crisis of the day was to make greater investments. After reaching the benchmark of 1,000 machines delivered in 2010, our 25-year anniversary in 2012 marked the definitive return of rosy skies on the company horizons. Orders were stable at €10 million a year, a figure that would grow in subsequent years. In 2014 our revenue neared €11 million, and closed in on €12 million in 2015. On the eve of our 30th anniversary, the generational handover in the Camas ownership was complete. The founding partners were replaced in all top posts in the company by individuals who had initially been hired as employees and who had by that time achieved the maturity to take on new challenges. The new generation was already by their side to represent the company. On our 30th anniversary, with nearly 1,400 machines built, we can boast a numeric yet significant accomplishment: our company has doubled both its size and its revenue every 10 years. Credit for this is due to all those people who have worked with Camas in a myriad of ways, and everyone who has believed in us since 1987. A history of commitment necessarily yields bountiful returns.